Thur 4 July 2019, 7.30pm. 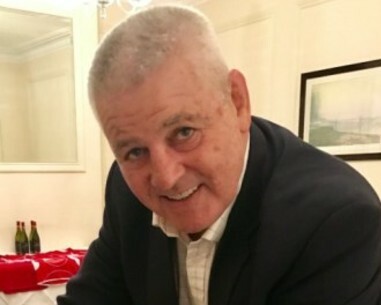 A Second Evening with Warren Gatland , OBE. Following a SELL OUT evening on the 3rd July Warren has agreed to come back for an encore. Don’t miss the opportunity to spend an evening in the company of Wales’ most successful Rugby coach in history. After enjoying a long playing career, it was in coaching he really made his mark with Connacht, Ireland and Wasps before taking the helm in Cardiff in 2007. He has won 4 Six Nations titles, 3 Grand Slams and led Wales to a RWC semi final in 2011. He has also guided the British and Irish Lions to a series win in Australia and a drawn series in New Zealand in 2017. It promises to be an evening not to miss as Gats chats about his career and looks forward to his Welsh swan song as he prepares for the challenge of this year’s Rugby World Cup in Japan.